With just 500 days to go until the Tokyo 2020 Olympics, GB Rowing Team Chief Coach for Olympic Programme, Jürgen Gröbler OBE, has emphasised the fundamental role that data analytics is playing in the Team’s preparations for the Games. British Rowing has also been working with analytics leader SAS to improve its talent identification and pathway programme. SAS has been the Official Analytics Partner for British Rowing since 2014 helping their quest for medals at major competitions. SAS’ analytics software and services have been integral in the development of a specific British Rowing data project known as Athlete Longitudinal Profiling (ALP), which is helping to reduce the time, and streamline processes to more accurately identify and train future elite level rowing talent. Like Gröbler, British Rowing’s Director of Performance, Brendan Purcell – who joined British Rowing in June 2018 – has an exceptional Olympic pedigree, having previously served as Performance Director at British Triathlon. Purcell led Great Britain to three medals at the Rio 2016 Games, including an historic second gold for Alistair Brownlee and a first ever medal for a British woman through Vicky Holland. 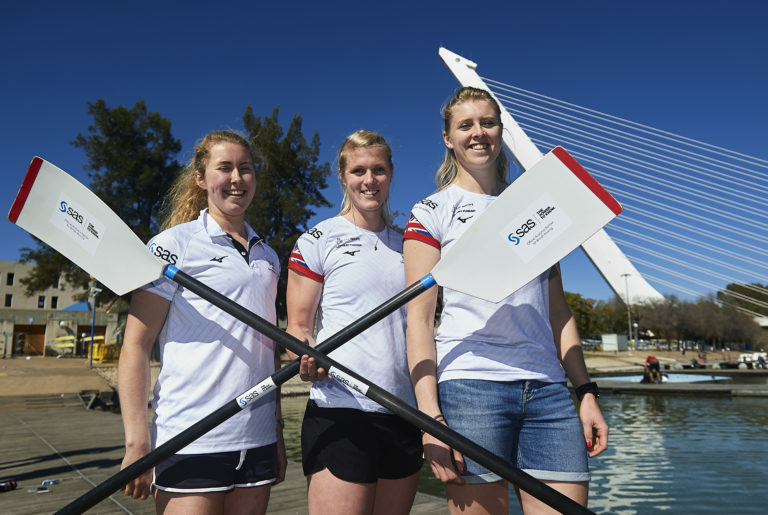 British Rowing’s renowned talent ID programme, World Class Start, which identified the likes of double Olympic gold medalists, Helen Glover MBE and Heather Stanning OBE, is being significantly enhanced by the ALP project. It builds on British Rowing’s broader performance pathway, which aims to recognise potential medal winners as early as possible. The ultimate objective remains on making the boats faster at the Tokyo 2020 Olympic and Paralympic Games. One rower who progressed through World Class Start is Graeme Thomas. The 30-year-old from Preston, Lancashire is more determined than most to make the cut for next year’s Games, having experienced Olympic heartbreak in Rio de Janeiro in 2016. Selected to compete in the quadruple scull, Thomas was withdrawn from the squad on medical advice just a day after arriving when he fell ill with a ‘flu-like virus’. After months of intense preparation, the final crews are announced today (February 13) for the 24th annual Aberdeen Standard Investments Boat Race, which takes place on Saturday March 23. The 18 successful students were chosen by president of Robert Gordon University Boat Club Erin Wyness and Anne-Sophie Tirre, president of the Aberdeen University Boat Club, after careful consideration and assessment of each rower’s performance and technical ability in races held in the last five months. Erin and Anna-Sophie have formed the strongest crews, selecting highly experienced rowers and handpicking the best talent – both local and international. The crews will clash oars over a 3.5km course on the River Dee this March, in the race sponsored by Aberdeen Standard Investments. Lauren Amner (19) from Glasgow; Sophie Telfer (19) from Kinross; Elizabeth Buchan (19) and Sarah Cameron (19) both from Edinburgh; Gregor Pittendreigh (21) and Gary Wilson (26) both from Aberdeen; Ingus Lismanis (21) from Riga, Latvia; Ethan Rebert (20) from Val D’Isère, France. The cox is Rosie Payne (18) from Hamilton. Jenny McCormick (22) from Edinburgh; Christy Cook (19) from Inverness; Cameron Grant (23) from Glasgow; Katie Sugden (19) from Aboyne; Ruth Grant (22) from Stonehaven; Lachlan Cowie (23) from North Kessock; Andrew Dunse (19) from Dumfries; Alex Zabala (20) La Coruña, Spain. The cox is Alliott Irvine (18) from Wallingford. Martin Gilbert, Co-CEO of Aberdeen Standard Investments, says, “The Aberdeen Boat Race has earned its place as one of the city’s annual highlights. Whether in rain or snow, day or night, the crews have endured intense training in preparation for the challenging race. Aberdeen Standard Investments remains a proud sponsor of this event that supports both domestic and international talent. Ahead of the race, we would like to congratulate both crews for their unshakeable determination and effort to be part of this event. In last year’s race, RGU’s mixed crew of eight lifted the trophy, as they emerged triumphant by 6.1 seconds against their rivals. The University of Aberdeen crew last won the race in 2017, breaking RGU’s five-year winning streak. Kat Copeland MBE, who won a memorable gold at London 2012, has announced her retirement from international rowing having competed for Great Britain for over 11 years. Copeland, who is a graduate of British Rowing’s World Class Start programme based out of Tees RC, has represented Team GB at two Olympic Games, Rio 2016 and London 2012, where she won gold in front of a home crowd alongside her lightweight double sculls partner Sophie Hosking. Since 2007, she has raced and won gold for Great Britain at every level – junior, U23 and senior – representing her country on four occasions at senior European and World Championships. 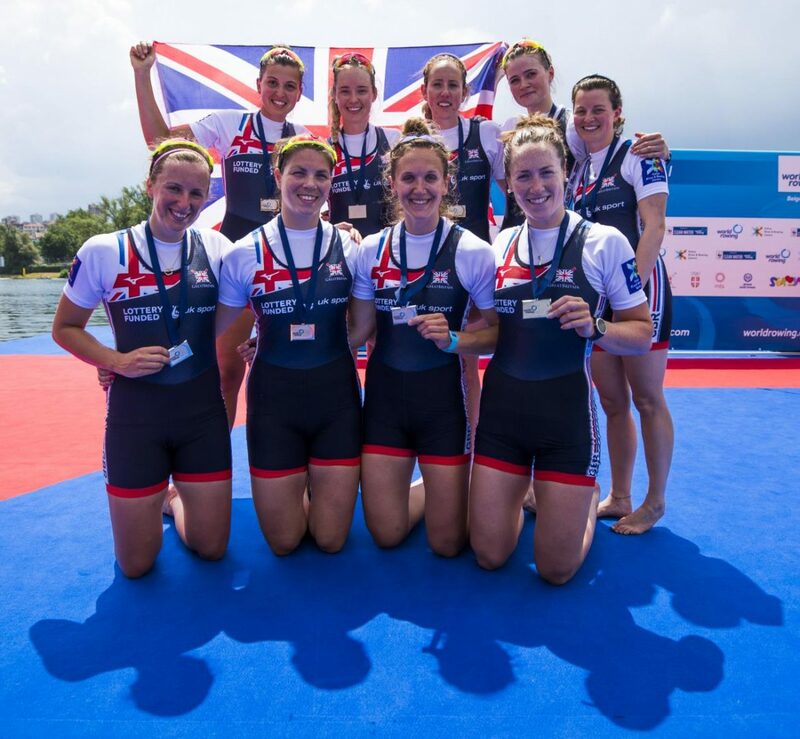 Reflecting on her time with the GB Rowing Team, Copeland said: “I have absolutely loved my time with the GB Rowing Team. To be able to wake up and train every day, travel abroad and race internationally has been a dream come true. “My favourite parts have been everything from big to small. 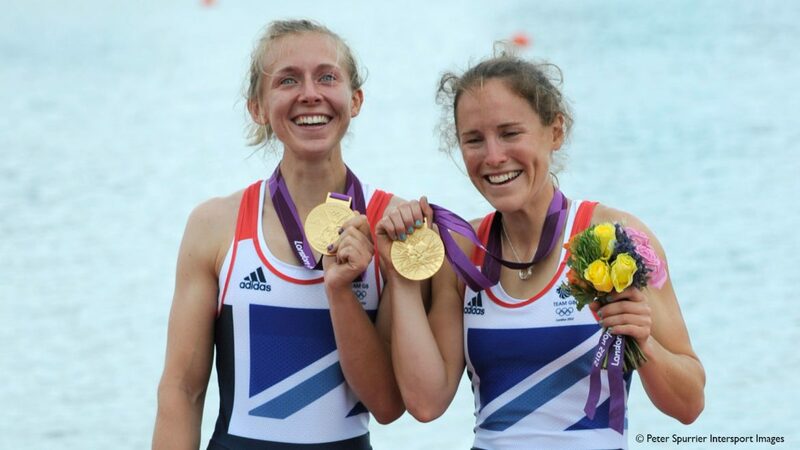 From winning a gold medal at a home Olympics [London 2012] and making friends that will last me a lifetime, to the day-to-day bits I’ll miss; rowing in my single along the Tees with my boat running well and feeling on top of the world, or feeling like a hero when you’ve done a PB in the gym. “I honestly can’t thank everyone enough who has helped me on my journey, I couldn’t have achieved any of it on my own and I will be forever grateful. Having laid down her international oars for the last time, Copeland plans to take the next few months to complete her undergraduate degree in English and to work out her next steps. She added: “I would love to continue working in the sport and wellness sector. Copeland also plans on keeping active with a few sporting challenges in 2019, including cycling the Scotland 500 with her dad in May. The date for the 2019 Aberdeen Standard Investments Boat Race has been announced. 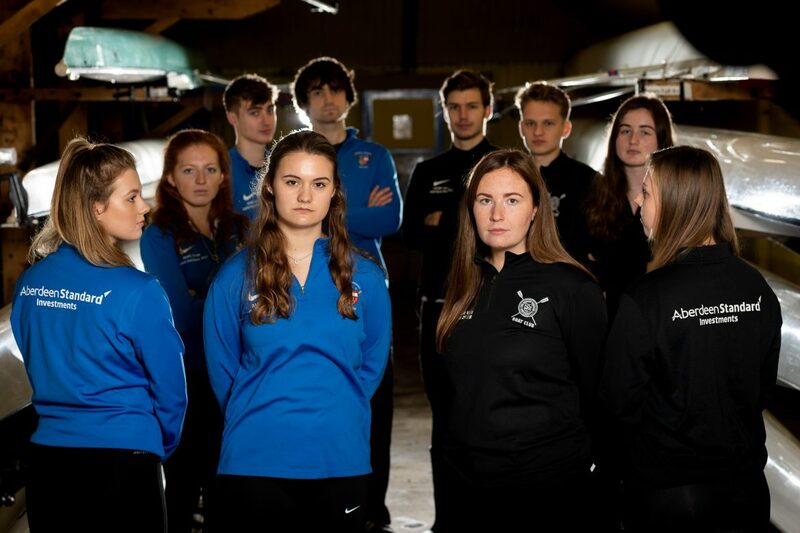 All eyes will be on the River Dee on Saturday 23 March 2019, as Aberdeen’s two universities go oar-to-oar once more in the annual boat race. The Aberdeen Standard Investments Boat Race – the longest running boat race in Scotland – returns for the 24th year thanks to the continued support of the global investment group. 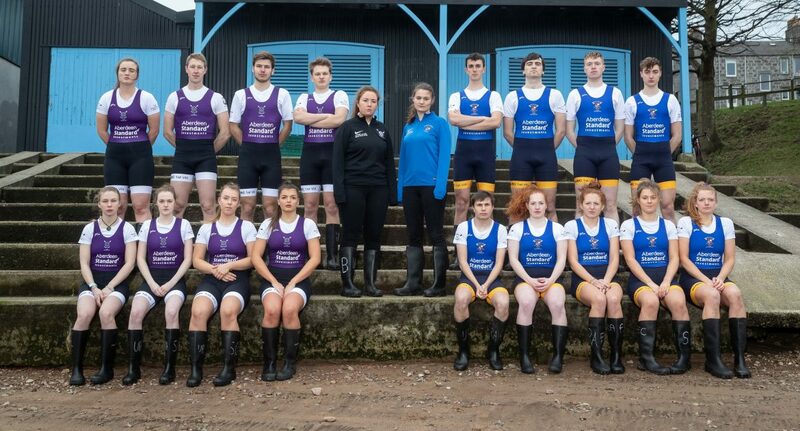 The University of Aberdeen is challenging its rival and reigning boat race champion Robert Gordon University (RGU) to a rematch, in the hope of turning the tables and returning to victory. Last year, RGU’s mixed crew of eight emerged triumphant just by 6.1 seconds against their rivals. The University of Aberdeen crew last won the race in 2017. The course of the Aberdeen Standard Investments boat race runs along the River Dee from the Bridge of Dee to the Aberdeen Boat Club allowing spectators the opportunity to watch the competing crews along the riverbank. Each team of eight, along with their coxes, has already embarked on a rigorous training regimen to attain optimal physical strength for the nail-biting competition. Ahead of the main race, the day’s programme will also include second crew and alumni races. Students, alumni and members of the public are invited to the banks of the Dee to cheer on the crews. Olympic, World, Commonwealth and European long jump champion Greg Rutherford wowed British Rowing coaches recently when the 32-year-old tackled assessments that make up one of the most successful talent identification programmes in the country, World Class Start. He even broke a record for one of the tests. World Class Start was responsible for 50 per cent of the rowing medallists at the London 2012 Olympic Games, and there was at least one graduate of the pathway programme in every medal-winning GB Rowing Team crew at Rio 2016. 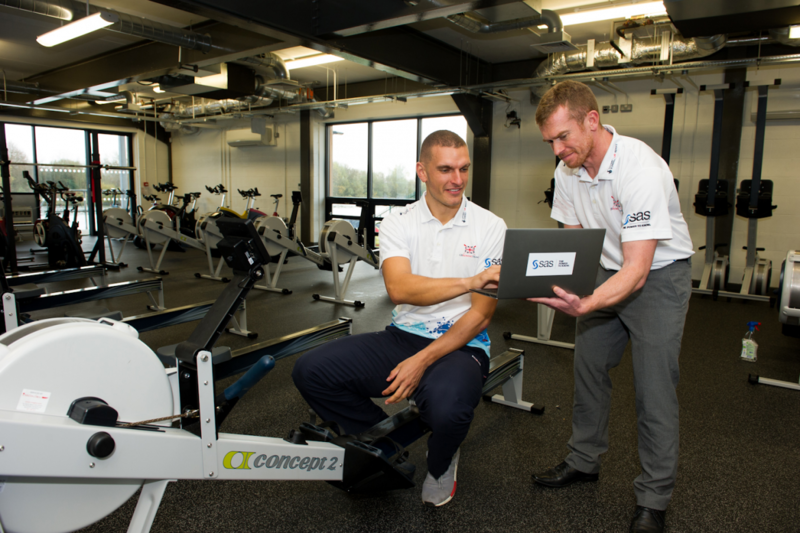 Now, British Rowing is working with its Official Analytics Partner, SAS, to enhance the world-renowned programme as part of a new data-driven project called Athlete Longitudinal Profiling. Recently retired Rutherford, 32, and World Junior high jump and heptathlon champion, Morgan Lake, were invited to British Rowing’s state-of-the-art training venue in Caversham, Berkshire, to find out first-hand what it takes to experience some of the tests involved in World Class Start. With British Rowing’s Moe Sbihi, Holly Hill and Sam Courty – all alumni of World Class Start – on hand to guide the jumpers through their tests, Greg and Morgan had a variety of measurements taken before getting into the more strenuous and grueling physical challenges. No stranger to stepping outside of his comfort zone after appearing on BBC’s Strictly Come Dancing in 2016, Rutherford said: “I’ve found that rowing – a sport that I’ve never in my life considered – is a sport I’m actually not bad at, which is a fascinating thing for me to find out. “Before we did anything else, we measured height and arm span and the first thing that was said was that I was 2cm shorter than what British Rowing would accept as the minimum for a rower, so from the first moment I started those dreams were dashed slightly. The British long jump record holder (8.51m (+1.7 m/s)) was effusive in his support of British Rowing’s data-driven approach to enhancing its talent ID programme with Athlete Longitudinal Profiling aided by SAS. He said: “The approach British Rowing is taking is fantastic and I think it will open up a sport that predominantly people would assume is not for everybody, and I think that’s a wonderful thing. After the initial testing, Rutherford took to the rowing machine. A short film of his activity that he shared on Twitter caught the attention of four-time Olympic rowing champion Sir Matthew Pinsent, who was full of praise for the first-time rower. With the Mizuno British Rowing Indoor Championships (BRIC) less than two weeks away on Saturday 8 December 2018, British Rowing has extended the former Olympian an invitation to take part. Kenny Baillie, British Rowing Director of Partnerships & Communications, said: “Greg’s performance at Caversham was phenomenal, particularly the leg press and then later, on the rowing machine. Although he rowed over a relatively short racing distance, he was competitive when up against some of our most senior athletes. Find out more information about the partnership between SAS and British Rowing here. British Rowing athletes welcome Greg Rutherford and Morgan Lake to Caversham for talent ID testing. From L-R: Greg Rutherford, Sam Courty, Moe Sbihi, Holly Hill and Morgan Lake. 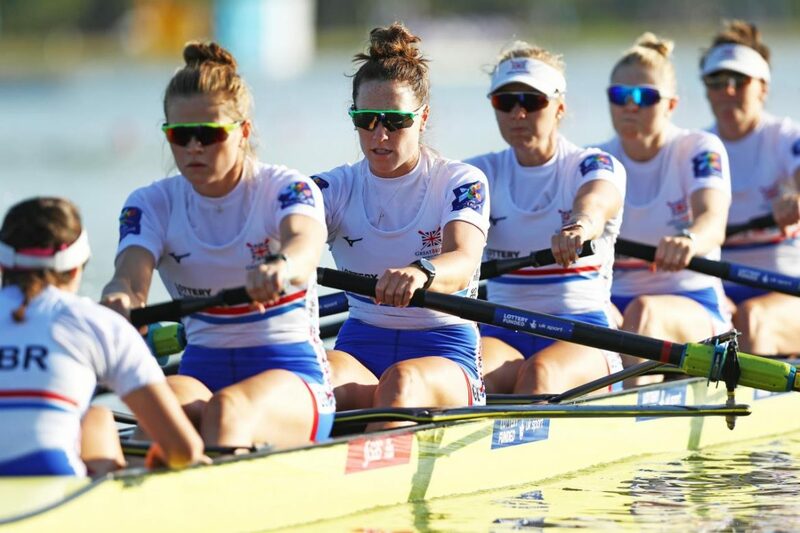 At the 48th World Rowing Championships in Plovdiv, Bulgaria, 13 British Rowing athletes, who began their careers on the specialist talent ID programme, World Class Start, have earned three medals between them as they start to build towards the Tokyo 2020 Olympic Games. Additional strong performances in 2018’s international regattas, including three World Rowing Cups and the European Championships, will help athletes such as Karen Bennett and Holly Hill – women’s eight crewmates – and Jacob Dawson – part of the men’s four – in their personal campaigns to make the squad for the Games in Japan. While Tokyo 2020 remains the team’s primary focus, work is already underway to achieve longer term goals at the Paris 2024 and LA 2028 Olympics. British Rowing’s development pathways including the World Class Start programme are receiving a further boost from Official Analytics Partner, SAS, to help maintain the GB Rowing Team’s competitive advantage. World Class Start was established in 2001 to help identify potential Olympians with little or no prior rowing experience who, given their physique and mental attitude, could be developed into future medal-winners. As a mark of its success, every Team GB boat that medalled at the Rio 2016 Olympic Games had at least one crew member who came into rowing through the programme. In total, it has produced 10 Olympic medal-winners. With SAS’ data analytics, British Rowing is pushing the boundaries of how best to initially identify future athletes; how long it takes for athletes to progress through its Performance Pathway; and, most importantly, how it can streamline the process, reducing the time for an athlete to win a medal in international competition. Find out more information about the partnership between SAS and British Rowing. 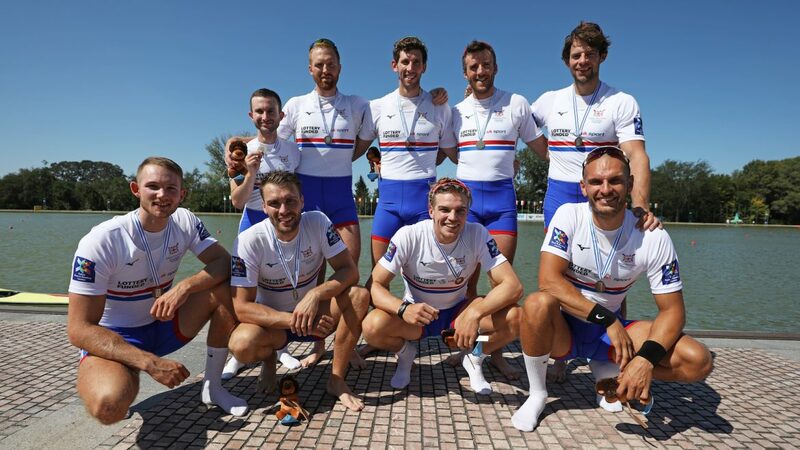 Great Britain’s men’s eight won bronze on the final day of competition at the 2018 World Rowing Championships, taking GB’s medal tally to four. From an unfavoured outside lane, GB set their rhythm quickly – pushing pre-race favourites hard through the first half of the race. As the 2,000m progressed the Germans lived up to their billing by holding onto their lead as GB and Australia battled it out for silver and bronze in the final 500m. GB, featuring James Rudkin, Alan Sinclair, Tom Ransley, Tom George, Moe Sbihi, Ollie Wynne-Griffith, Matthew Tarrant, Will Satch and Henry Fieldman, pushed hard to hold off the sprinting Australians but were pipped to silver on the line by 0.03 seconds. British crews took three fourth-place finishes in a tough day of racing, with winds forcing the organisers to reassign the lanes in an attempt to ensure fairness. Harry Leask put in a phenomenal sprint in the closing metres to overhaul New Zealand’s Robbie Manson into fourth place in a race won by Norway’s Kjetil Borch. Charlotte Hodgkins Byrne and Anna Thornton took the race to their rivals in their debut women’s double sculls final, leading through 500m and contending for a medal at the halfway point. While Lithuania, USA and New Zealand passed them in the second half, GB held their nerve to seal fourth place ahead of the Netherlands. There is a palpable sense of excitement surrounding the GB Rowing Team’s Caversham training base at the start of the summer racing period. The season began well with six medal wins, including a gold for the men’s quadruple sculls and a silver for the women’s eight at the first international regatta of the rowing calendar, the World Rowing Cup I in Belgrade, Serbia. A series of three regattas taking place early in the summer each year, the three World Rowing Cups form an important part of the team’s preparation ahead of the European and World Rowing Championships later in the year. Data is an integral part of the sport and as the Official Analytics Partner of British Rowing, SAS provides a vital tool in helping British Rowing maintain success on a long-term basis and identify the rowers who will take to the water at future Olympic and Paralympic Games. Of the athletes who competed in Belgrade and will make the trip to Linz Ottensheim, Austria and Lucerne, Switzerland later in the summer, as part of the World Rowing Cup squad, some will only have been with the team for as little as six weeks. For the Sports Science team, it is important to understand these athletes’ key strengths and weaknesses as quickly as possible so that the best crews can be put forward to race. GB Rowing Team World Rowing Cup I women’s eight silver medal-winning crew: Back row: Rowan McKellar, Holly Norton, Fiona Gammond, Rebecca Shorten and Matilda Horn (cox). Front row: Anastasia Chitty, Rebecca Girling, Hattie Taylor and Karen Bennett. 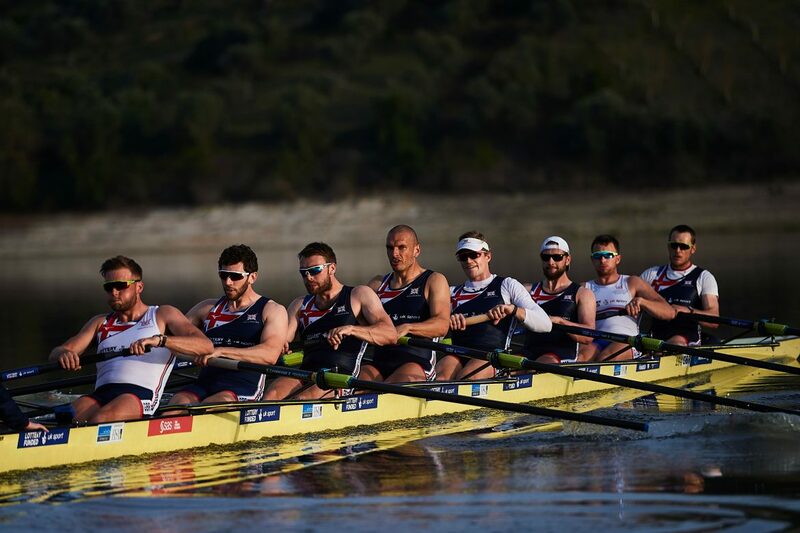 In a 90-second film released by SAS, the Official Analytics Partner of British Rowing, coaches and athletes highlighted the crucial role data analytics plays in a successful international team. The film was shot during an overseas training camp with the women’s squad in Seville, Spain. Data scientists and consultants from SAS, the leaders in analytics, have been working with British Rowing to analyse data from training and biomechanics to weather and diet, in a bid to unlock marginal gains that can help make the boats go faster. 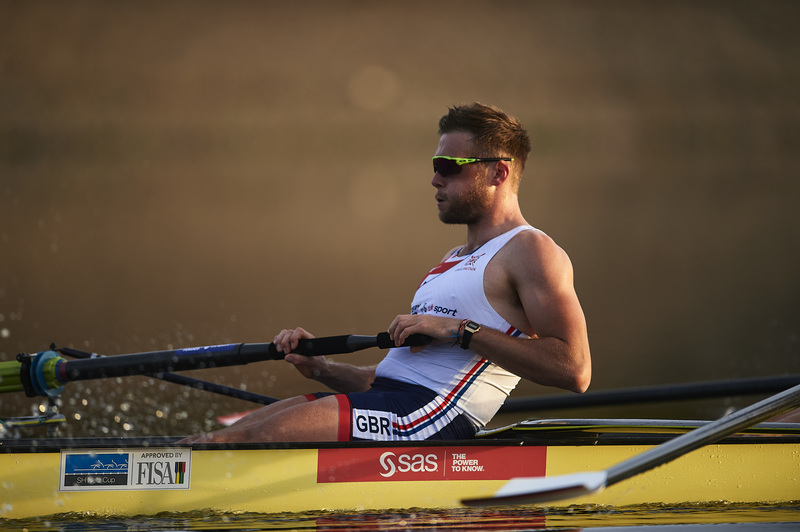 SAS, the global leader in analytics, is delighted to announce that it has extended its partnership with British Rowing as Official Analytics Partner for a further three years, until December 2020.